Medicare Advantage Plan: When you are looking into Medicare for either diabetic supplies or any other type of health issue that requires monthly prescriptions you must know some things about it. First, you should recognize that there are so many parts of Medicare plans to choose from and while Part A and Part B are covered under the Original Medicare Plan, many people are looking further into other plans such as Medicare Advantage. Medicare Advantage is a plan that allows for private health insurance plans inside the Medicare program to be chosen instead of standard Medicare plans such as Plan A and Plan B. Members will receive their health care needs from a private plan while Medicare pays a certain amount of money monthly. It does not matter if the member actually uses health care services that month or not. With Medicare Advantage members are supplied with lower co-payment costs as well as extra benefits. However, just like with members who are on the Original Plans A and B, members must use doctors and hospitals that are located on the plan roster. You do not have to do anything special or pay extra or have any special concerns to be part of Medicare Advantage, you just have to sign up for that particular plan. If you are eligible for Medicare Parts A and B than you are eligible for Medicare Advantage, as long as the pre-member lives in a area that is available for Medicare Advantage. There are certain areas that do not have Medicare Advantage although the issue is currently being worked on to supply the plan to rural areas without it. When it comes to the Medicare Advantage program, there are different ways that the program itself works. For instance, some private insurance plans will pay a certain amount of your Medicare A and B plans would. Others will pay the whole premium. Nearly all private insurance programs will cover drug prescriptions and many other benefits that are not covered on the Medicare Plan A and B. Even if you chose Medicare Plan A or B in the beginning of choosing Medicare as your health provider, you can still switch Medicare Advantage as soon as you want to. Medicare Advantage is more helpful than other plans but can have unnecessary benefits if you are looking for something much simpler. Check into the Medicare Advantage plan and remember that health care is always changing therefore the best thing that you can do is to keep yourself updated about Medicare changes and the best way to do that is by looking up updates online. This entry was posted in Medicare on December 22, 2010 by admin. There are over 24 million Americans who have been diagnosed with diabetes and more than 25 percent of them will develop some sort of foot complications that may need to be amputated. Annually, 38,000 elderly individuals loose a lower appendage due to complications that derive from diabetes. This is why it has become important for anyone who has been diagnosed with diabetes to own a pair of therapeutic shoes. Therapeutic shoes can be expensive, no doubt, but if you have Medicare, then you could save a lot of money when you buy a pair. Medicare Part B covers therapeutic shoes as long as your doctor prescribes them. Here are some issues that doctor’s look for when it comes to assessing your feet for the need of therapeutic shoes. You must be diagnosed with diabetes and are being treated under a diabetes care plan that states you need therapeutic shoes or inserts. There are certain types of shoes and inserts, which are covered by Medicare. If wearing depth-inlay shoes due a deformity of the foot, than two you will receive two additional pairs of inserts. On certain occasions that call for it, Medicare will offer to cover inserts or show mortifications instead of inserts. 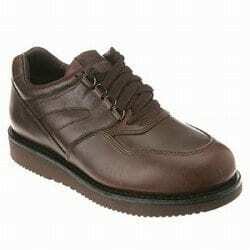 Diabetic shoes are made to provide comfort, enhance protection and help deflect injury. Most people do not like to wear socks. However, socks can act as a buffer to stop scratches and scrapes that could ultimately lead to something bigger. Follow your exercise and diet closely. Skimping here and there is not good. So keep up the hard work to achieve great rewards. Select some time throughout the day to inspect your feet. Look for blisters, swelling, cuts and red spots. Make sure you check really well in between your toes. If you find an ingrown toenail, you should contact your doctor to find the best solution for removal. Tell your doctor if something changes. Your doctor should know the ends and outs of your foot. If it changes color, or feels unlike your foot or changes shapes than your doctor needs to know. You should go for a yearly check-up, just for your feet. Even if your feet feel great, you should still go for a yearly check-up. It is important to make sure you are not missing anything. Your feet should be washed daily, patted dry and rubbed down with a mild lotion. Do not put lotion in between your toes. Keep your toenails trimmed and filed to prevent issues with toenails or scratching in the middle of the night. Keep your shoes on; it is important that you never walk around barefooted. If you just cannot stand to wear shoes, than slide into some socks. Nevertheless, never go barefooted. These are all important tips to keep in mind when it comes to your feet. You are their protector and you can be a huge part of keeping them safe and from a harmful future. Take care of your feet. This entry was posted in Medicare on December 1, 2010 by admin. 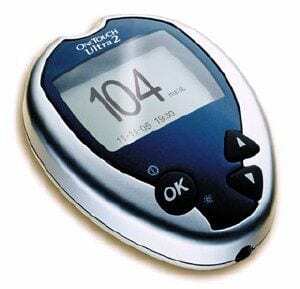 Through Medicare, many different kinds of diabetic supplies can be acquired and the cost to your pocket is substantially less than what you would pay outright for it, had you not had Medicare. Medicare will cover the cost of diabetic supplies as long as you have diabetes, you will have to produce a blood test in order to get things rolling, but once you have Medicare you will be able to obtain your supplies as long as your doctor prescribes your need for them. Receiving Medicare through a Medicare Advantage Plan like HMO or PPO will have you follow a different method in order to obtain your supplies but once you have received all the paperwork from your plan, you will know exactly what you need to do. For other Medicare plans, your doctor is the only person who can prescribe diabetic supplies for you. Ordering without a doctor’s prescription is a waste of time. Your doctor not only has to write a prescription, they must also document a need for it through medical records and give you the prescription as well. Once this has been completed, the supplier must receive that prescription before Medicare is billed. Medicare Part B helps to cover many different supplies needed for diabetic patients rather they need insulin or not. However, for those who do use insulin the amount of diabetic supplies an individual has covered varies. Some individuals who use insulin could obtain 100 test strips and lancets monthly and one lancet device every six months. Others who do not use insulin may be able to obtain 100 test strips and lancets every three months and one lancet device every six months. 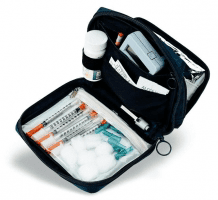 Medicare Part B will not cover insulin if it is not used with insulin pump; however, injected insulin is covered by Medicare Part D and can be supplied through that plan. All insulin and needed supplies such as needles, syringes, and gauze and alcohol swabs will be supplied. External insulin pumps including the needed insulin can be covered through Medicare Part B, as long as it is prescribed by your doctor. 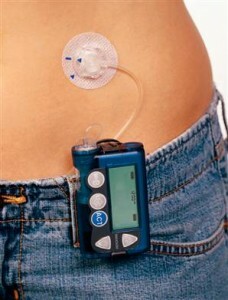 Typically, Medicare will pay 80 percent of the cost of the insulin pump itself. Foot disease is a growing problem with those who suffer from diabetes, especially for elderly people. That is why therapeutic shoes are so important and since they are covered on Medicare, there is no reason why no one who is suffering from diabetes cannot own a pair to keep future foot problems away. Medicare will not only cover the therapeutic shoes, they will also cover one pair a year and three pairs of inserts for them. You know that Medicare will cover your diabetic supplies, but you should also know just how much they would pay. The amount that Medicare will pay depends on the type of coverage you have and where you are buying your supplies at, first you must realize that there is a yearly deductible, which must first be paid before Medicare will cover the cost of diabetic supplies. Once that is paid, you will then pay 20 percent of the approved diabetic supplies. The cost is cut down a certain amount if you choose to go with a diabetic supplier. However, if you received your Medicare through a Medicare Advantage Health Plan such as HMO or PPO, than you may end up pay a very small amount of even nothing at all for your diabetic supplies. 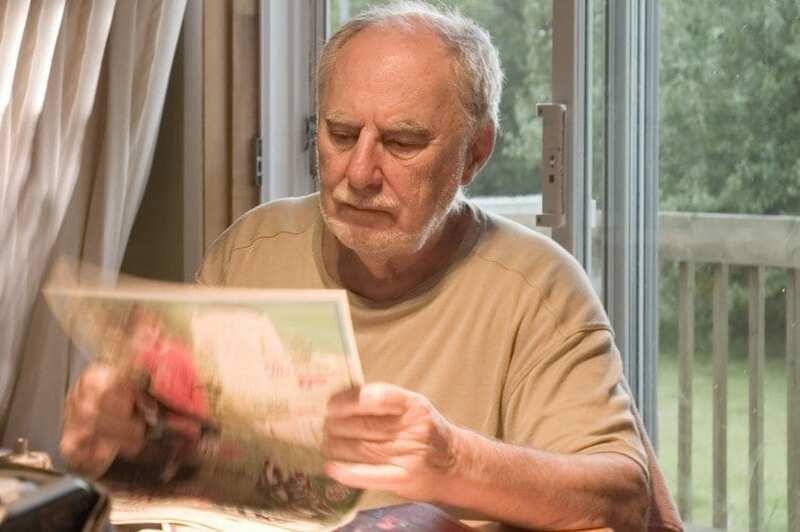 Your supplies are affordable but you should always do a little research when it comes to Medicare, new bills are always being passed on what Medicare will or will not cover and the more you know the better off you will be as a Medicare carrier. This entry was posted in Medicare on November 24, 2010 by admin. If you have diabetes than you already know the financial burden test strips, lancets, monitors and control solution can leave on you. Monthly you shell out a few hundred dollars for all your test supplies and they just do not seem to last long enough before it is time to shell out another hundred dollars or so. It can be quite a pain in the bank but that does not mean it has to be. Medicare Part A aka Hospital Insurance is helpful when you are a patient within a hospital; it can also be helpful in times of home health care, hospice care or to cover the expenses of a nursing facility. Medicare Part B aka Medical Insurance is helpful in covering expenses toward doctor’s bills or outpatient care bills. It can also be helpful to make sure that illnesses do not become worse than they are. Medicare Part C aka Medicare Advantage Plans such as HMO or PPO, this is health coverage that is setup through private companies and assesses both Part A and Part B in order to cover the costs of prescription drugs. Medicare Part D aka Prescription Drug Coverage is helpful in covering the high costs of prescription drugs. It can lower the cost of your prescription drugs and keep those high costs at bay in the future. You can get many different supplies from Medicare. You may already qualify for these supplies if you are on Medicare or have a blood test showing you are a diabetic. Most likely, you are thinking this all seems like a pretty good idea to save some money, but you may be asking yourself, “How do I get my supplies?” The answer is simple really; you can get your supplies a couple of different ways. One of those ways is through a Medicare participating provider such as a medical supply store or a local pharmacy. Another convenient way to obtain your supplies is by setting up a monthly delivery order, to your doorstep via the internet or snail mail through a diabetic supply company. You should keep in mind when you order your supplies that you will need to ask for refills monthly, you will need a new prescription from your doctor to obtain additional lancets, and test strips yearly. Becoming a diabetic and living with diabetes is hard as it is but knowing that you have full coverage when it comes to doctor visits, high cost drug prescriptions, hospital visits and even long-term nursing facility care, can make things a little better. Diabetes is a lot less of a struggle when you can afford the supplies you need to take care of yourself, look into Medicare today. This entry was posted in Medicare on November 17, 2010 by admin. Diabetes can be hard to live with, it does not matter which type you have. It could be type 1, type 2 or gestational diabetes; they are all very difficult to live with. Type 2 diabetes however, is the most common diabetes out there among millions of Americans who have been diagnosed with it. Type 2 diabetes appears to be more common in Latinos, Native Americans, Asian Americans, Native Hawaiians and African Americans. A person who has type 2 diabetes is dealing with either a body that is unable to produce insulin or cells that ignore insulin. For the body to work properly, insulin is necessary. Glucose turns into energy, therefore any food that you eat will break down all the sugars and starches into glucose, which will in turn, fuel the cells in the body. Glucose can start to build up in the blood, rather than in the cells, which ultimately starts a long path of diabetes complications. For those who have type 2 diabetes, the diagnosis used to be simple. Get plenty of exercise and watch what you eat. If you eat a lot of sugars and starches than the problem gets a lot worse. This diagnosis is fairly easy for many people and there are people who were pre-diabetic and seem to be handling life well at the moment by not showing any signs of becoming a full-blown diabetic. However, what happens when diet and exercise are not enough? What happens when a person has done all they can to help their blood sugar level out but it still skyrockets or drops suddenly, without much warning? For these individuals, it used to be a hard diagnosis to make, but now there is an easy answer and the answer is yes. Yes, a person with type 2 diabetes can be covered by Medicare when they need an insulin pump. However, just as if with any other diabetic supplies you need, you must have a prescription from your doctor. Medicare used to only cover insulin pumps for patients who had type 1 diabetes, but since there is a growing issues with type 2 diabetes, there is a growing need for insulin pumps for patients who do not have type 1 diabetes are still battling insulin issues. Gestational Diabetes with a blood sugar that in uncontrollable. Once you are approved, for an insulin pump, you will save the most money if you go through a Medicare approved provider. When it comes to diabetic suppliers, they must meet a very long list of strict standards. It is possible to order your insulin pump from any store that sells that, however, if they supplier is not enrolled in Medicare, Medicare will not pay for the pump leaving you with the bill. This entry was posted in Medicare on November 10, 2010 by admin. If information is power than knowing as much as you can about the Medicare benefits you’re entitled to can be very helpful in your care. The Center for Medicare and Medicaid Services provides more details. If the answer to either of these two (2) questions is “no,” they should call another supplier or pharmacy in their area who answers “yes” to be sure their purchase is covered by Medicare, and to save them money. If a beneficiary cannot find a supplier or pharmacy in their area that is enrolled in Medicare and accepts assignment, they may want to order their supplies through the mail, which may also save them money. One pair of custom-molded shoes (including inserts) if the beneficiary cannot wear depth-inlay shoes because of a foot deformity and two additional pairs of inserts. They are being treated under a comprehensive diabetes care plan and need therapeutic shoes and/or inserts because of diabetes. A doctor or other qualified individual like a pedorthist, orthotist, or prosthetist must fit and provide the shoes to the beneficiary. Insulin pumps worn outside the body (external), including the insulin used with the pump, may be covered for some people with Medicare Part B who have diabetes and who meet certain conditions. If a beneficiary needs to use an insulin pump, their doctor will need to prescribe it. In the Original Medicare Plan, the beneficiary pays 20% of the Medicare-approved amount after the yearly Part B deductible. Medicare will pay 80% of the cost of the insulin pump. Medicare will also pay for the insulin that is used with the insulin pump. This entry was posted in Medicare on August 26, 2010 by admin. It can sometimes be confusing to know what exactly is covered under the U.S. Government’s Medicare program when it comes to diabetes. The Center for Medicare and Medicaid Services provides some details. Glucose control solutions for checking the accuracy of testing equipment and test strips. Medicare Part B covers the same type of blood glucose testing supplies for people with diabetes whether or not they use insulin. However, the amount of supplies that are covered varies. Uses insulin, they may be able to get up to 100 test strips and lancets every month, and 1 lancet device every 6 months. Does not use insulin, they may be able to get 100 test strips and lancets every 3 months, and 1 lancet device every 6 months. If a beneficiary’s doctor documents why it is medically necessary, Medicare will cover additional test strips and lancets for the beneficiary. Medicare will only cover a beneficiary’s blood glucose self-testing equipment and supplies if they get a prescription from their doctor. How often they should test their blood glucose. Must ask for refills for their supplies. Note: Medicare will not pay for any supplies not asked for, or for any supplies that were sent to a beneficiary automatically from suppliers. This includes blood glucose monitors, test strips, and lancets. Also, if a beneficiary goes to a pharmacy or supplier that is not enrolled in Medicare, Medicare will not pay. The beneficiary will have to pay the entire bill for any supplies from non-enrolled pharmacies or non-enrolled suppliers. This entry was posted in Medicare on July 28, 2010 by admin. There is a greater cost involved in treating diabetes than preventing it. The U.S. Government realizes this so they have included prevention programs in their Medicare plan. While this list isn’t complete it does take a look at prevention programs related very specifically to diabetes and related illnesses for those who participate in Medicare. Helps detect conditions that may lead to a heart attack or stroke. This service is covered every 5 years to test your cholesterol, lipid, and triglyceride levels. No cost for the test, but you generally have to pay 20% of the Medicare-approved amount for the doctor’s visit. Do you have a family history of diabetes (parents, siblings)? Do you have a history of gestational diabetes (diabetes during pregnancy), or did you deliver a baby weighing more than 9 pounds? Based on the results of these tests, you may be eligible for up to two diabetes screenings every year. No cost for the test, but you generally have to pay 20% of the Medicare-approved amount for the doctor’s visit. For people with diabetes. Your doctor or other health care provider must provide a written order. You pay 20% of the Medicare-approved amount, and the Part B deductible applies. Medicare covers a one-time screening EKG if you get a referral for it as a result of your one-time “Welcome to Medicare” physical exam. You pay 20% of the Medicare-approved amount, and the Part B deductible applies. An EKG is also covered as a diagnostic test. Helps prevent influenza or flu virus. Covered once a flu season in the fall or winter. You need a flu shot for the current virus each year. No cost to you for the flu shot if the doctor accepts assignment for giving the shot. Helps find the eye disease glaucoma. Covered once every 12 months for people at high risk for glaucoma. You are considered high risk for glaucoma if you have diabetes, a family history of glaucoma, are African-American and age 50 or older, or are Hispanic and age 65 or older. An eye doctor who is legally authorized by the state must do the tests. You pay 20% of the Medicare-approved amount, and the Part B deductible applies. Medicare may cover medical nutrition therapy and certain related services if you have diabetes or kidney disease, or you have had a kidney transplant in the last 36 months, and your doctor refers you for the service. You pay 20% of the Medicare-approved amount, and the Part B deductible applies. A one-time review of your health, and education and counseling about preventive services, including certain screenings, shots, and referrals for other care if needed. Medicare will cover this exam if you get it within the first 12 months you have Part B. You pay 20% of the Medicare-approved amount. When you make your appointment, let your doctor’s office know that you would like to schedule your “Welcome to Medicare” physical exam. This entry was posted in Medicare on July 23, 2010 by admin. The idea of paying for high performing health care providers seems like a good idea, but new laws spelled out in the Health Care overhaul could mean that some diabetics on Medicare could find even limited services cut. In essence what this policy does is potentially penalize rural health care centers because they don’t have the staff or patient volume to fairly compete with larger medical centers. When they can’t match performance the already struggling rural counterpart is penalized as extra Medicare funds are shifted to the high performance medical centers. The end result would appear to be a lack of quality care for rural residents – unless they are willing to travel to larger clinics in more urban areas. Often this is inconvenient and impractical. Critics indicate that this plan could lead to health care rationing while others suggest the language should be addressed and will likely be changed. Those who view this as detrimental to Medicare patients in rural or under-served areas find the prospect less than ideal for patients who have come to rely on local care in familiar surroundings. Health care remains a critical topic to all Americans, but the notion of decreased services for under-performing medical centers could potentially create significant gaps in care for Medicare patients struggling with diabetes. This entry was posted in Medicare on July 14, 2010 by admin. In past articles we have covered the first three parts of Medicare coverage. This represents the final part in this government-based program. Medicare prescription drug coverage (Part D) is available to everyone with Medicare. To get Medicare drug coverage, you must join a Medicare drug plan. Plans vary in cost and drugs covered. To join a Medicare Prescription Drug Plan, you must have Medicare Part A and/or Part B. To get prescription drug coverage through a Medicare Advantage Plan, you must have Part A and Part B. The first year for Medicare Part D was 2006. That year 11 million people were expected to sign up to use this program. The actual number was 24 million. Interestingly statistics seem to suggest that since the implementation of Part D Medicare users have improved their willingness to follow their physician’s directions in taking medication. The usefulness of Medicare Part D has statistically proven that if an individual can afford to take the medication they will in fact take it. This entry was posted in Medicare on July 7, 2010 by admin.